I enjoy analysing the way people move, and the challenge of identifying how to correct movement patterns so clients can get the best out of the body they have, start to appreciate it and enjoy using it so they can get the most out of life! Cherry enjoyed a career in corporate marketing and took up Pilates to improve posture from years of desk work. The additional benefits of strength, flexibility and increased energy convinced her that this was the exercise method for her and led her to train as a Body Control Pilates Teacher. Cherry joined Cobham Pilates in 2007 and has been in constant demand since. Her clients love her ability to work them hard but have compassion for their limitations. 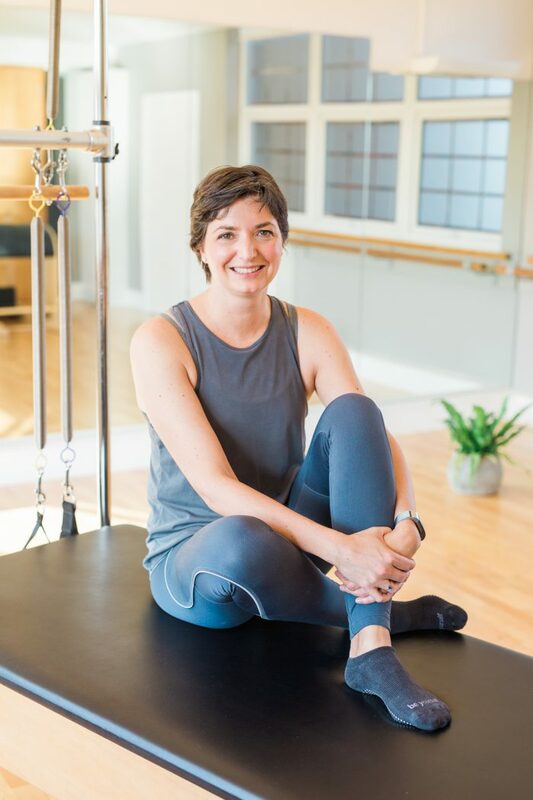 She is renowned in the studio as a master of technique and believes that teaching clients to really understand the point of the exercises combined with developing an increased awareness of how their body works delivers the best results. Clients often claim to find muscles they never knew they had. Her energy and enthusiasm mean the path to a fitter, leaner more efficient body is also fun. She is trained in all levels of Matwork as well as the Studio Equipment. She is also qualified in pre and post-natal Pilates.